Really cute tiny Sigg Bottles. They were also displayed next to new Satin Headbands with Ruffles on them in Pearl, Grapeseed and black. 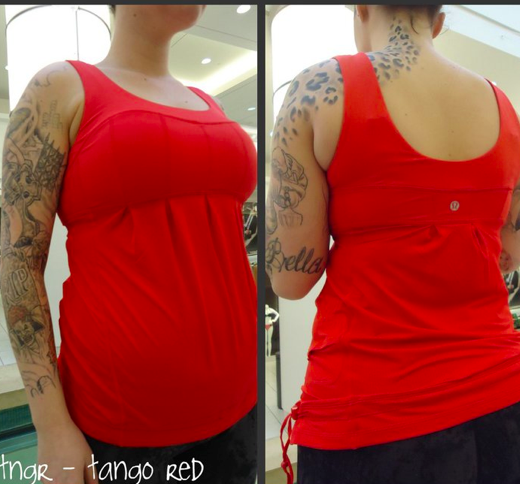 The ruffles were the same pleated ruffles as the Special Edition Cool Racerback Tank out a month or so ago. 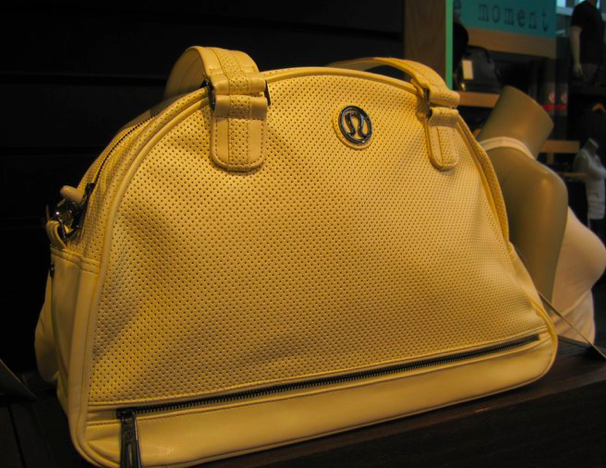 I fell a little bit in love with this Retro Move Gym Bag today in the creamy ‘pearl’ color. I love the perforations on this bag. If this came in a mini version like the Hot Hottie Bag I would break down and buy it. I tried this tank on the other day briefly and really liked it. 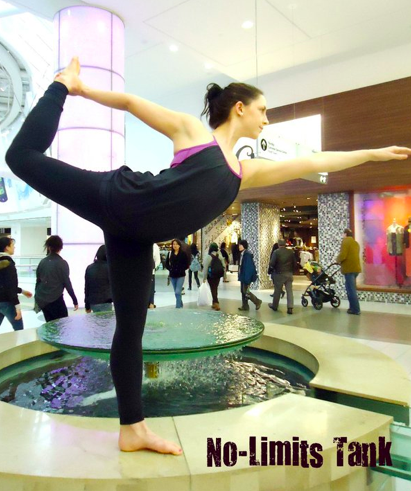 The bust had a lot more coverage then the Pure Balance Tank out last month and was nicely supportive like the Push Ur Limits tank or slightly less. The Straps are the same wide elastic straps as on the Push Tank. 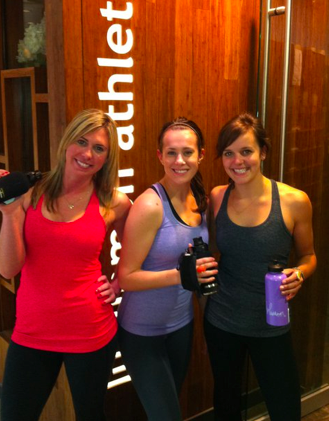 The lower body of this tank is similar to the Scoop Neck Tank. I may have sized up for a bit of extra tummy room but other then that I would say this tank is TTS and very comfortable. "OT: My New Hand Held Water Bottle"